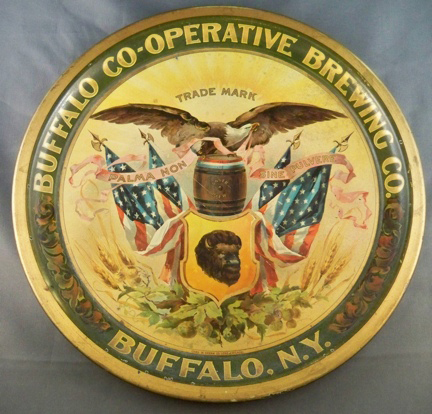 Serving Tray for Buffalo Co-Operative Brewing Company out of Buffalo, New York showing an Eagle sitting on a barrel of the company’s brew. American Flags are surrounding the barrel. A Shield with a Buffalos’ head sits under the barrel.